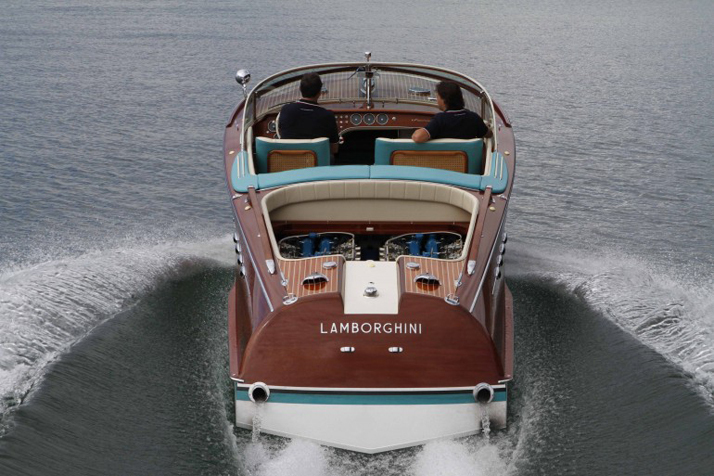 "When you hear the word “Lamborghini,” you tend to think of land, not water, yet the car maker has a page in one of the most famous chapters of boat design. 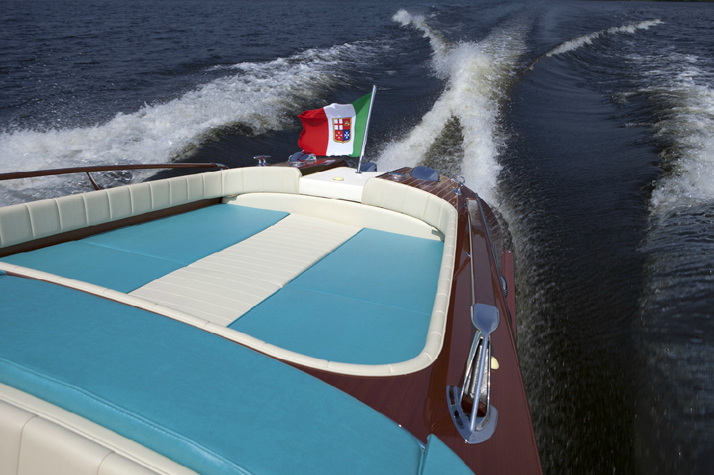 In production from 1962 to 1996, the Riva Aquarama was the crowning achievement of the darling of the Jet Set, Italy's Riva boat works. 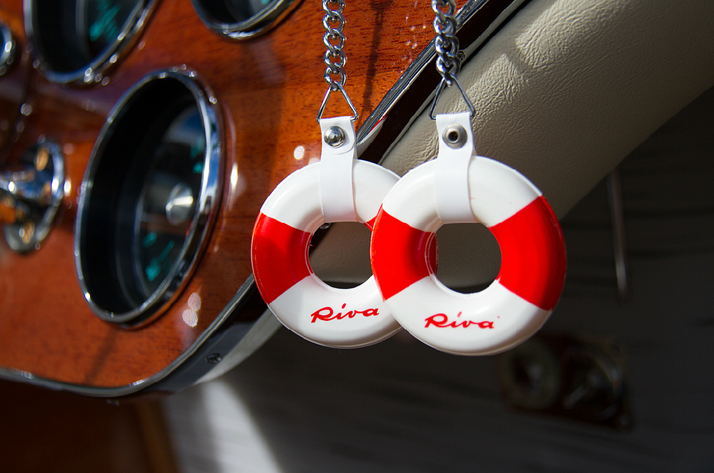 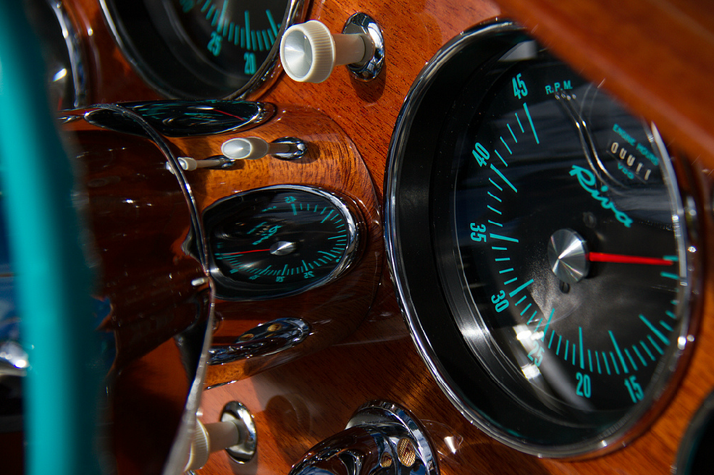 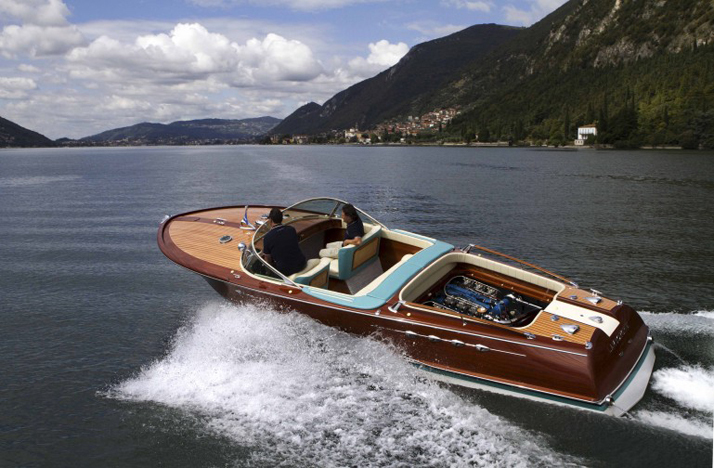 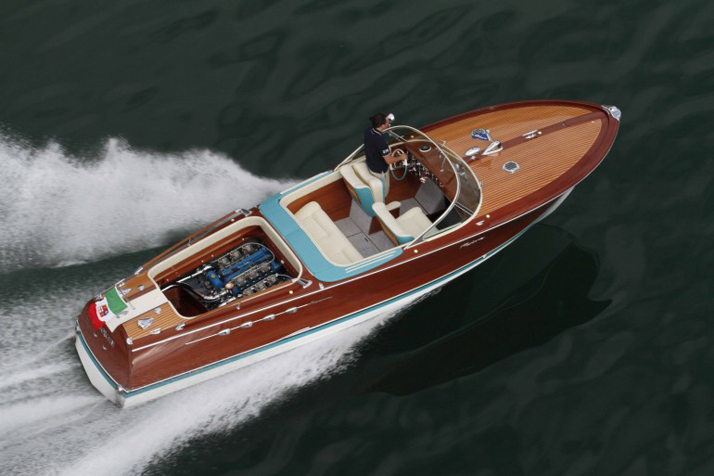 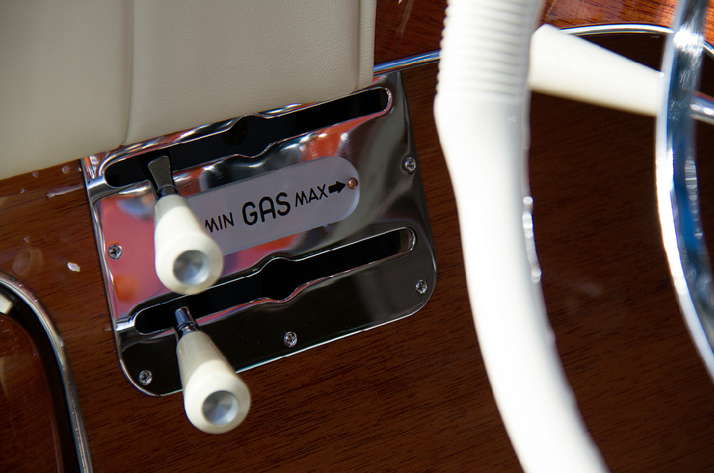 Founded in 1842, Riva started out making ferries, but soon graduated to racing boats." 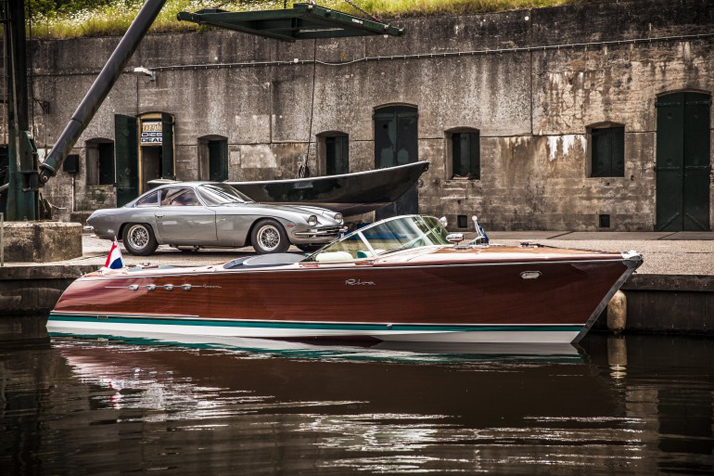 "A Dutch Riva collector found Lamborghini’s Aquarama and three years ago it was handed over to Riva World in Uithoorn in the Netherlands, to put it back to rights. 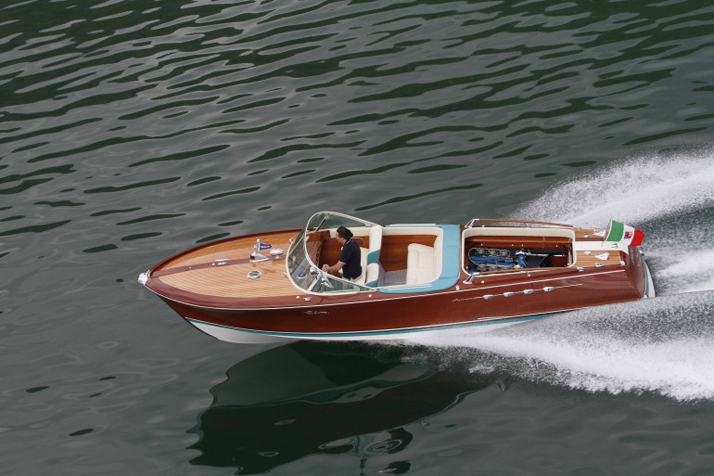 Not surprisingly, the woodwork needed some attention. 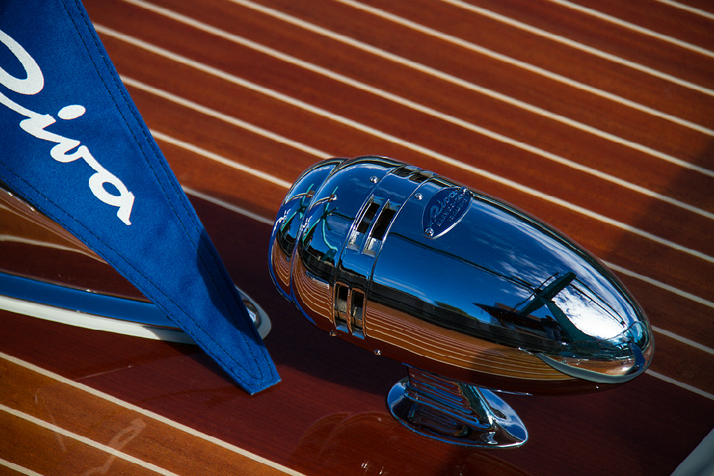 It was repaired, sanded, and 25 coatings applied. 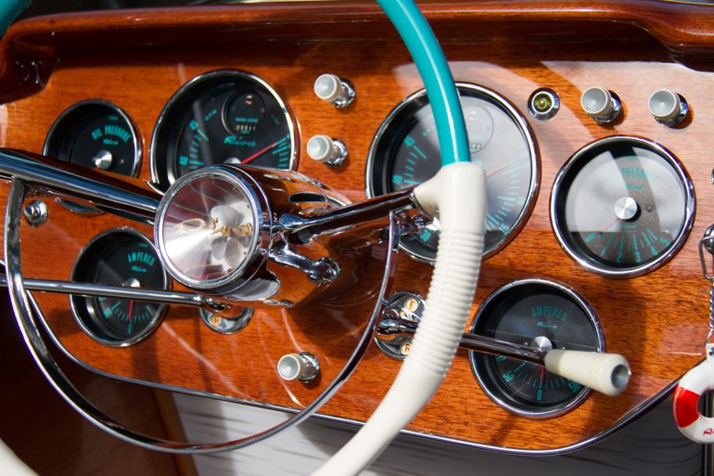 The chrome work was polished, all of the buttons and switches were disassembled and restored, and the seats were reupholstered in new leather to match the old. 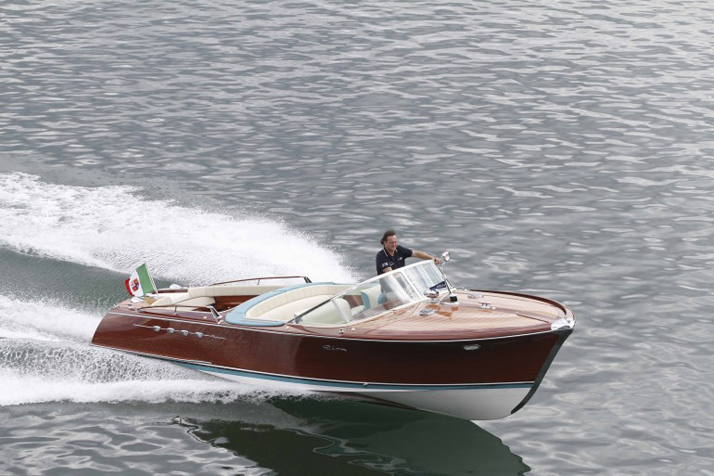 To make sure that all the elements were correct, Sandro Zani, the owner of Dutch Riva, made frequent trips to Italy to check on details. 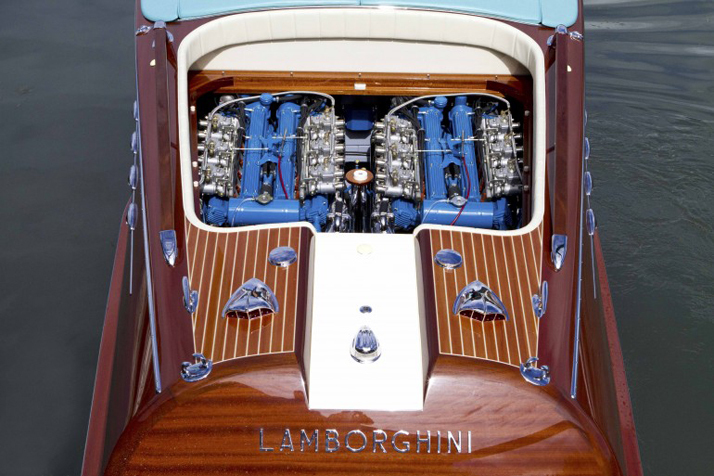 This was especially important because new engines were needed to complete the restoration." 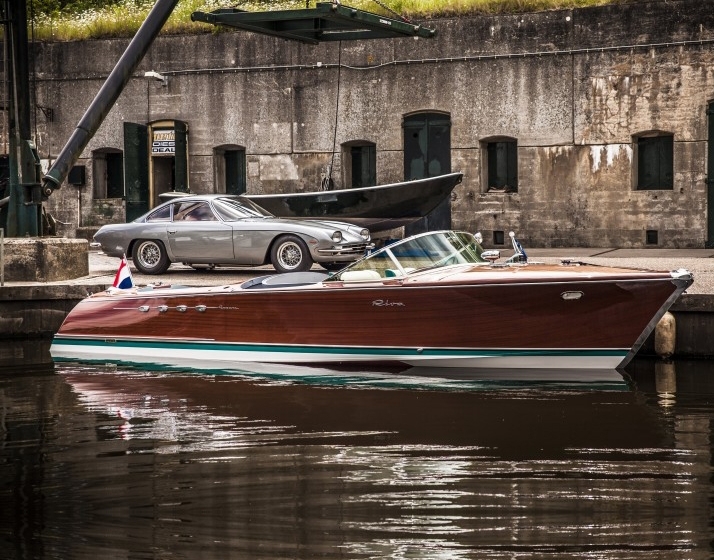 "The restored Riva Aquarama sports two Lamborghini 4.0 V12 with six twin Weber carburetors punching 350 bhp, making for a top speed of 48 knots (55 mph, 89 km/h) compared to the 40 knots (46 mph, 74 km/h) of V8 Aquaramas. 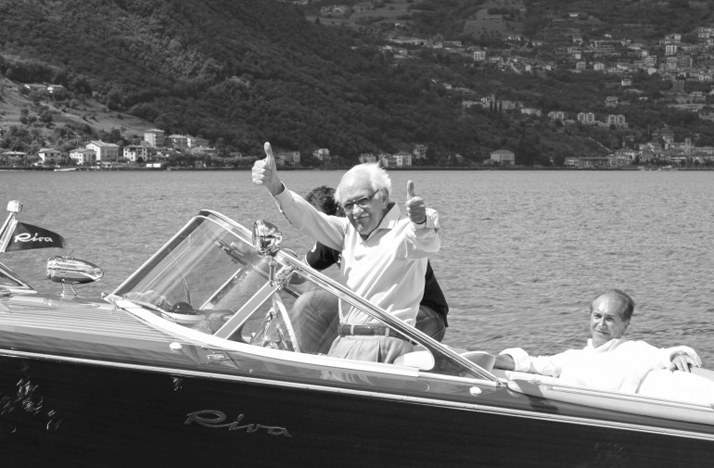 The restoration team also had the input of Lamborghini’s former test driver and developer, Bob Wallace, who passed away last month, age 75. 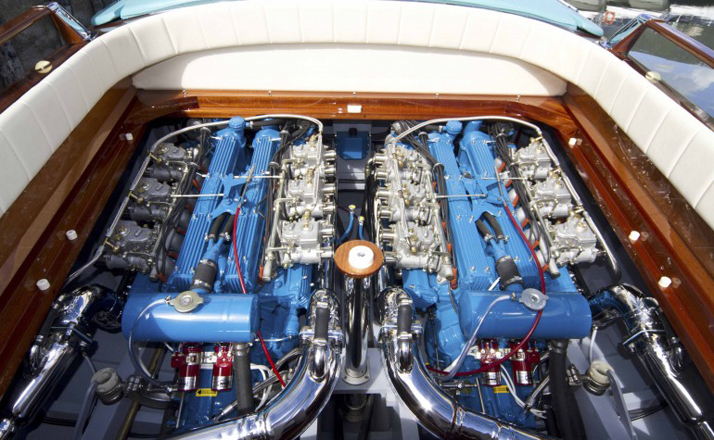 With his help, the engines were adapted for marine service and made to rotate in opposite directions to eliminate prop walk." 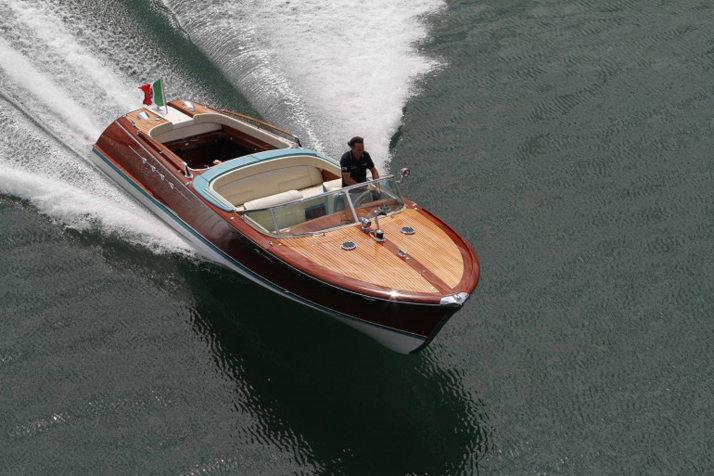 "After restoration, the Aquarama was taken to Italy and put through its paces under the eye of its creator, Carlo Riva on Lago d’Iseo, where it was built."